*ALL INCLUSIVE LAND CONTENT including 10 nights Deluxe Accommodation; Private Kansai Airport Arrival Pick Up (Osaka); Two Meals Daily as per itinerary; Japanese Cuisine & Culture Private Guided Tours as per itinerary; All Japanese Rail & Public Transportation as per itinerary; Intercity Luggage Transfers; Private Group Escorts. Friday 01 June 2018 to Sunday 02 June 2018 – Please see further details following itinerary details below. Each of our tours are designed so you can do as much or as little as you like, while allowing you plenty of free time to explore and immerse yourselves in the sights, shopping, relaxation and eating that YOU want to experience (we’ll be happy to provide suggestions and tips on some of our favourites from our previous trips). So all you have to do is book your preferred flight, pack a bag & a sense of adventure, and join us for an unforgettable and luxurious Japanese Cuisine & Culture experience!! for an unforgettable, once in a lifetime Japanese cultural experience! 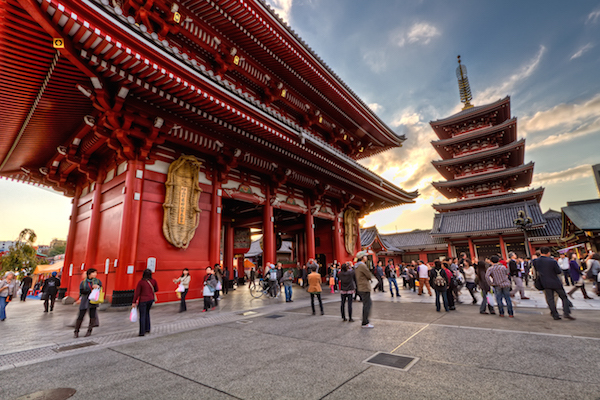 Chic and cosmopolitan TOKYO including unmissable sights including Senso-ji Temple in Asakusa; Emperor Meiji Shrine; and the neon dazzle and buzzing energy of the Ginza, Shibuya, and Harajuku Districts. 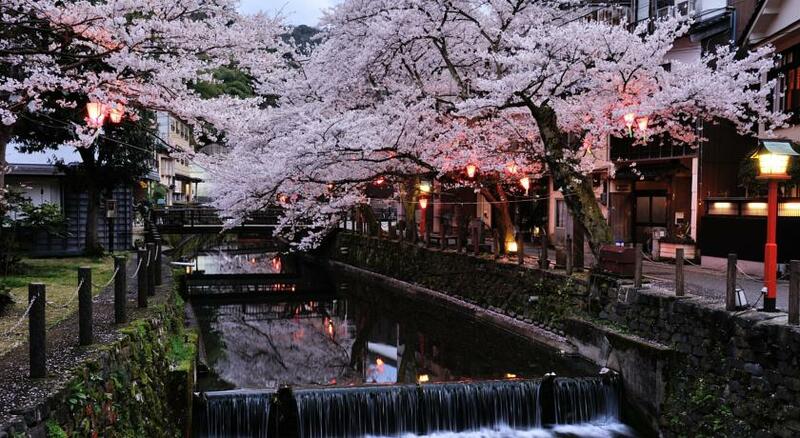 The ancient Imperial Capital & beauty of KYOTO with Japan’s greatest collection of temples, palaces, shrines & gardens. Japan’s premiere onsen (hot springs) village of KINOSAKI. The stunningly beautiful riverside retreat of ARASHIYAMA, and its UNESCO Heritage Listed ancient Bamboo Forest. Ryokan Experience – experience staying in a traditional Japanese inn which came into existence during Japan’s famous Edo period (1603-1868). 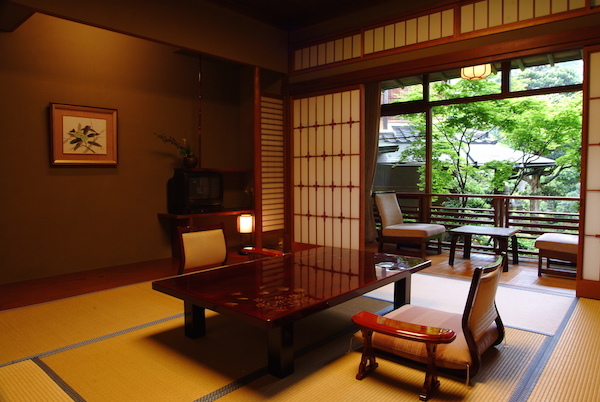 Ryokan’s are famous for their traditional tatami-matted rooms and communal hot spring baths. 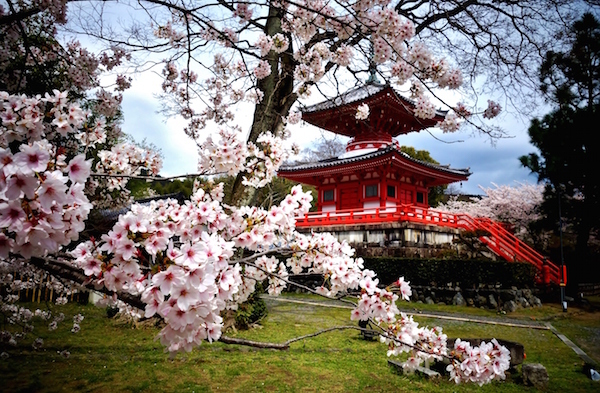 Japanese Cultural Experiences – visits to some of Japan’s beautiful UNESCO World-Heritage sites, stunningly beautiful Buddhist temples and Shinto shrines. Cuisine Experiences – sample some of the most healthiest, elegant & refined cuisines of the world with dining experiences covering many of Japan’s most famous dishes from Sushi to Teppanyaki and Kaiseki (Japanese haute cuisine degustation) meals. 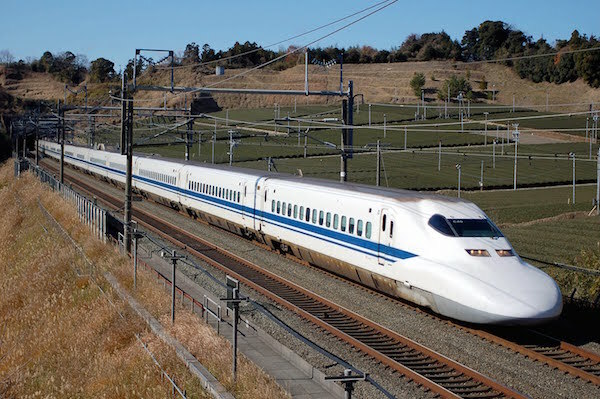 Japan Rail and Shinkansen Bullet Train – travelling between locations on Japan’s highly efficient train network including travel on its famous Shinkansen Bullet trains. Personal Relaxing Time – Plenty of free time for you to pursue your own Japanese cultural/cuisine/shopping/relaxing activities. Pre Arrival – For any participants that would like to arrive into Osaka prior to the tour start date, we can arrange for your additional night’s accommodation at our Osaka hotel. *Private Airport Transfer – Upon your arrival into Kansai Airport*, you will be met at the airport by your Private Driver as we have arranged for your Private Airport Transfer to our selected hotel in central Osaka, 60 minutes from Kansai Airport. When arranging for your preferred international flights to Japan (starting from around $AUD700 return from Australia), please choose your ARRIVAL airport to be Kansai International Airport (KIX) which services Osaka and your DEPARTURE airport to be Haneda International Airport (HND) which services Tokyo, and is much closer than Tokyo’s Narita Airport (NRT), for your departure. OSAKA – Osaka has the vibrancy of Tokyo and the charm of Kyoto but possesses its own brand of character altogether. Osaka’s importance as a merchant and port city dates back to 1586 with the building of the Osaka Castle by Toyotomi Hideyoshi who encouraged traders from other parts of Japan to settle in the city. It became the industrial powerhouse of Japan through the 1920’s and 1930’s and today is Japan’s third largest city after Tokyo and Yokohama. As well as being famous for its extravagant and neon lit central city, it is also one of Japan’s culinary centres with a local cuisine renowned more for its practicality rather than finesse. The Westin Osaka is conveniently located only a 7 minute walk from JR Osaka Station, while the hotel also provides a shuttle bus between the hotel and JR Osaka Station. 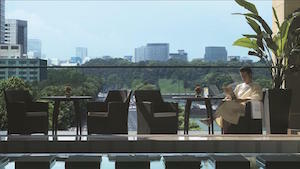 The hotel is also connected to Shin Umeda City, the new urban center comprising the Westin Osaka, Umeda Sky Building with its Floating Garden Observatory and its rooftop views of Osaka. It is a 20-minute taxi ride to Osaka Castle and the Dotonbori shopping area. 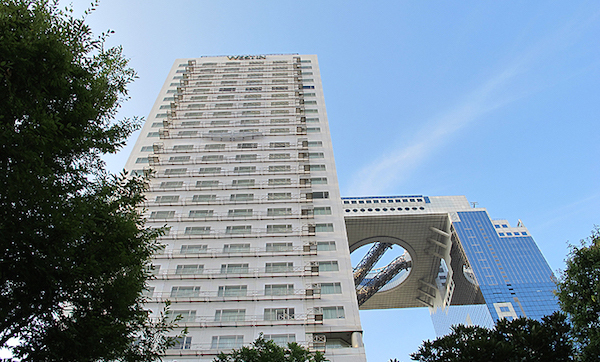 The 303-room Westin Osaka is an upscale option located in Osaka’s Umeda district, next to the iconic Umeda Sky Building. Guests can walk to JR Osaka Station in about 10 minutes or take the hotel’s free shuttle there. We have arranged for Deluxe Double/Twin Room (41m2) for our stay, which are larger than most hotel rooms offered in Japan. 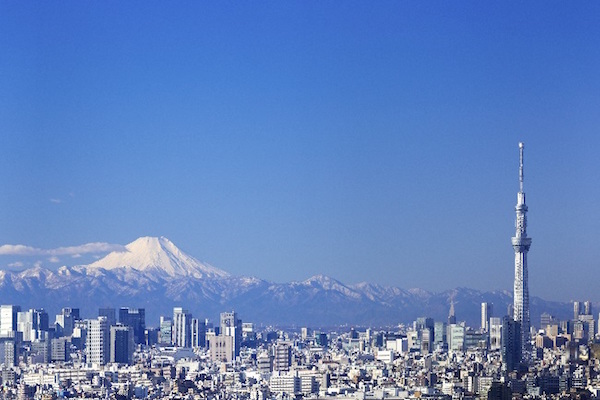 09:30am – Culinary & Culture Experience – Meet in the lobby to begin our exploration of Japan’s third largest city. This morning we will be met by our Japanese English-speaking guide for a morning walk where they will share with us all aspects of Japanese life in Osaka. 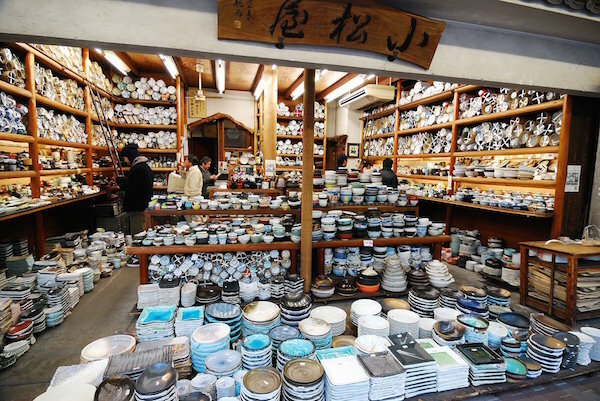 Following a visit to Osaka Temmangu, one of the oldest and most important shrines in Osaka, we will wander along the longest shopping street in Japan, stretching for over 2600m, where we will then visit local shops specialising in Japanese specialties such as miso and umeboshi. 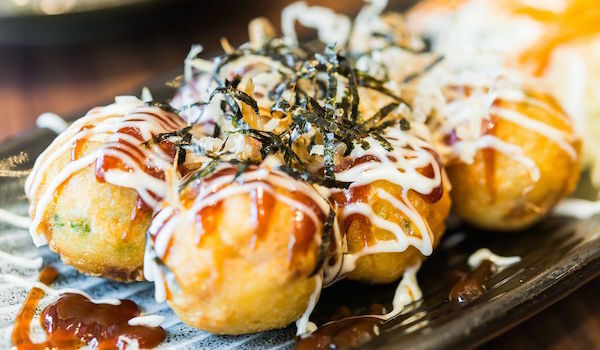 We will learn stories behind Japanese traditional food culture including tastes of Osaka’s famous croquettes and a lunch of one of Osaka’s most popular dishes – Okonomiyaki. 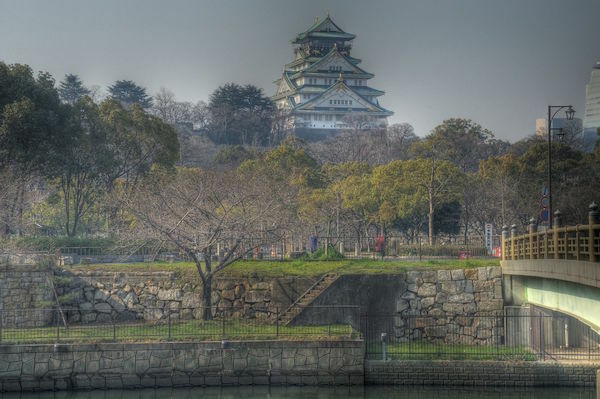 12:30pm – Cultural Experience – Osaka Castle – Following lunch we will visit Osaka’s famous castle. The symbol of Osaka was built in 1583 on the former site of Ishiyama Honganji Temple, as ordered by Hideyoshi Toyotomi during the Azuchi-Momoyama Period. He was a famous warlord who successfully brought all provinces in Japan under his rule, unifying the nation in 1590. 16:00pm – Remainder of the afternoon and evening at your leisure. 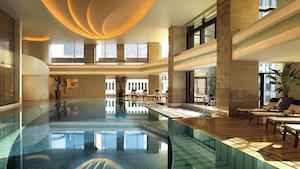 Take the opportunity to enjoy the Westin’s swimming pool and spa complex; have a rest back in your room; visit the Umeda Sky Building’s Rooftop Observation Deck for views over Osaka; or do some shopping at one of Osaka’s famous shopping centres. pm – Evening at your leisure. 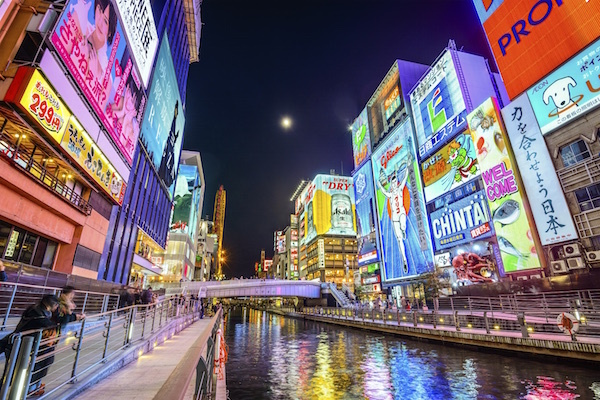 For those that are interested, we can head into Osaka’s famous Dotonburi district to take in Osaka’s neon-lit central canal walking district. 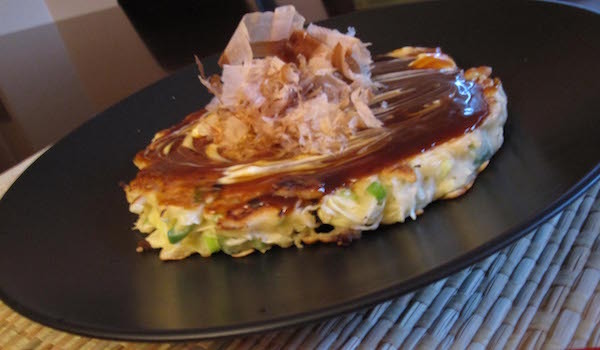 Traditional Japanese tastings including Osaka’s famous Okonomiyaki “pancake” and Takoyaki. 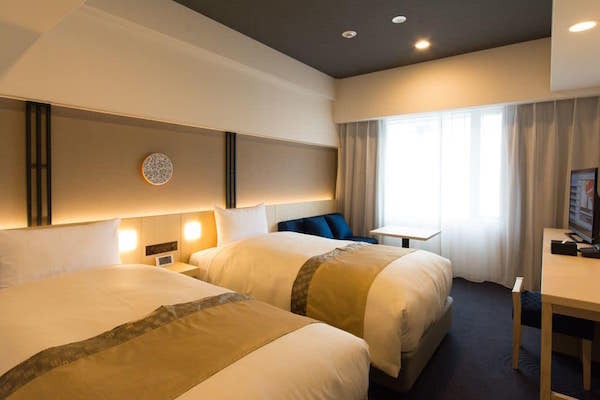 9:30am – Check out from our Osaka hotel for departure by local train to Kinosaki, situated 2 hours north on the Sea of Japan in Central Japan’s Hyogo Prefecture. 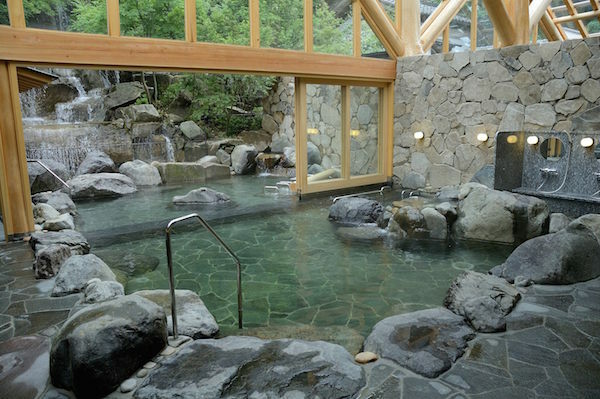 Kinosaki – with over 1400 years of tradition, Kinosaki is one of Japan’s top onsen (hot spring resort) destinations. 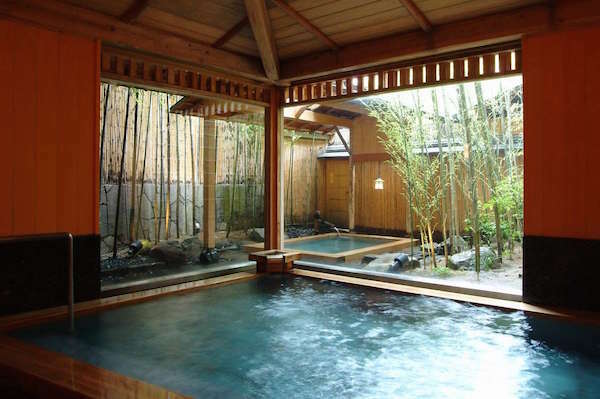 This charming 8th century town, with its seven unique public hot spring baths and dozens of onsen ryokan accommodations, is the place to sample the quintessential onsen ryokan experience. 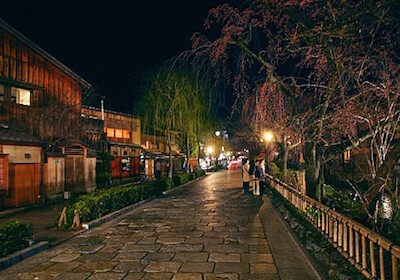 For hundreds of years, Kinosaki has been known throughout Japan as a hot spring town. Putting on yukata (light cotton kimono) & geta (wooden clogs) to visit each of the town’s seven public hot springs – each with its own unique style – has become a storied tradition of visitors to Kinosaki. 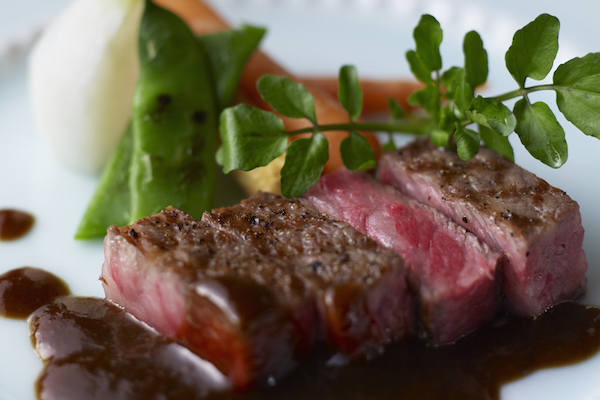 In addition to its famous public hot springs, Kinosaki is also known for its mouthwatering cuisine, including its Hyogo Prefecture’s Tajima Beef, the stock cattle of the world famous Kobe beef. 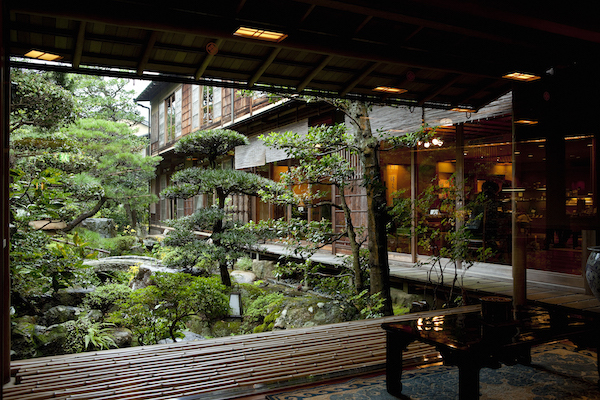 14:00pm – Check in to Nishimuraya Honkan, our luxury ryokan accommodation during our stay in Kinosaki. 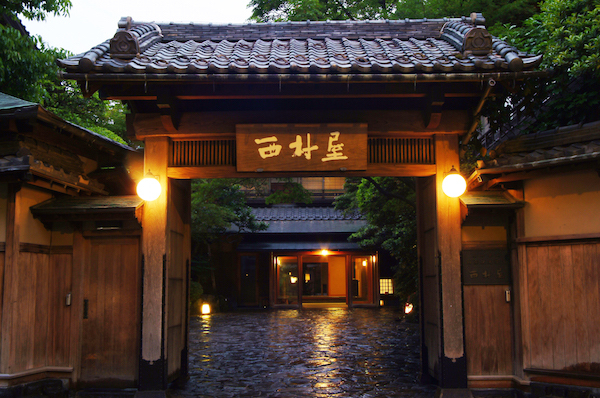 Nishimuraya Honkan is one of Japan’s most exclusive & historical ryokans (traditional Japanese inns) which has been in operation for over seven generations. 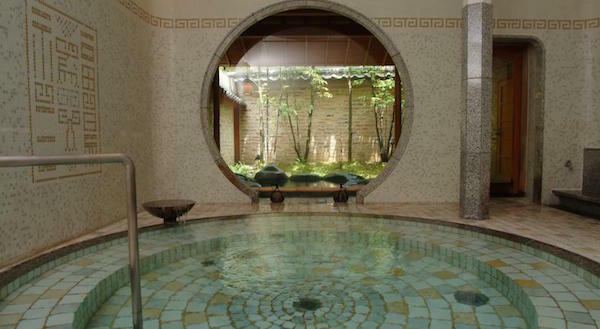 Boasting a history of over 150 years, this luxurious hot spring inn’s maze-like layout lends a sense of privacy, includes traditional style Japanese guest rooms with views over the ryokan’s expansive Japanese garden; relaxing indoor & outdoor hot spring; and a private gallery of art and historical artifacts. 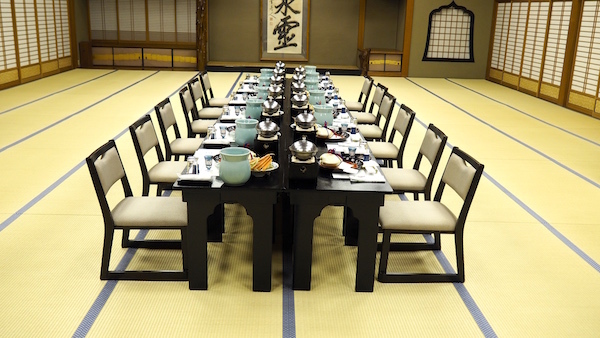 The centre of any stay at a ryokan is the food. The culinary artisans of Nishimuraya are renowned for their Japanese-style Kaiseki (Japanese haute cuisine) degustations. 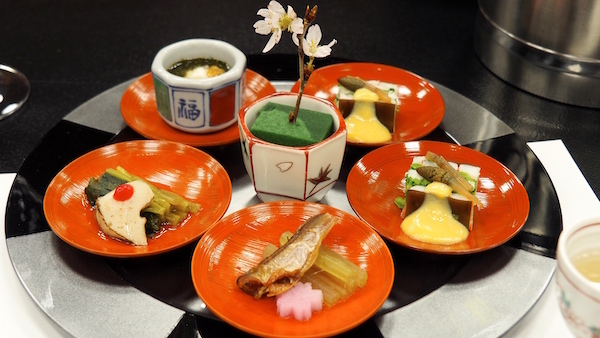 A kaiseki meal is like no other Japanese meal you have ever experienced. Personal, elaborate, varied, and most importantly, incredibly delicious! There is nothing more relaxing than enjoying dish after dish of wonderfully delicious seasonal Japanese food after an evening at the hot springs. 14:00pm – After checking into your traditional ryokan Japanese tatami room, the remainder of the afternoon is free for you to start exploring Kinosaki and its “Seven Hot Springs” which are open to the public. 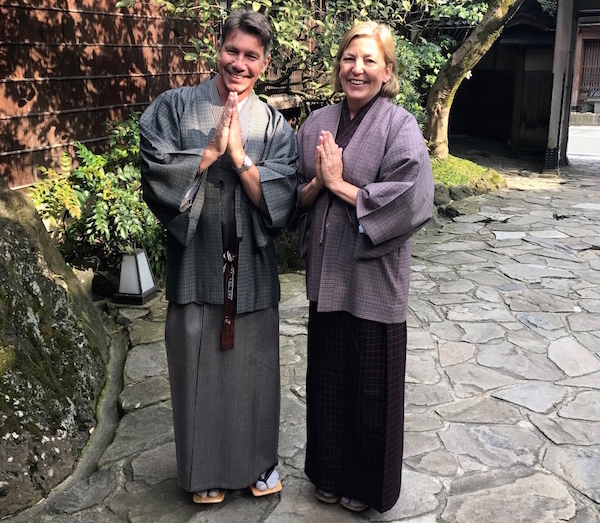 The ryokan will provide you with your traditional yukata (light cotton kimono), and a jacket in cooler weather, so that you can join the locals while strolling the cherry & willow-lined streets of town. 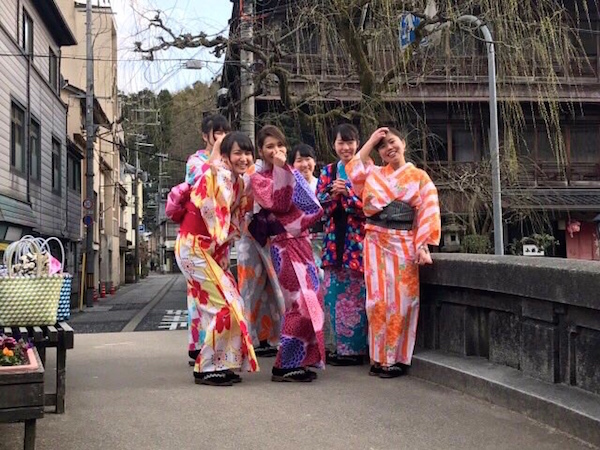 In Kinosaki Onsen, it is tradition for visitors to wear yukata for the whole time they are staying and at all your meals including breakfast, lunch and dinner. You really don’t need to pack much except a change of underwear. It is a common sight to see people out shopping, eating at restaurants, and strolling through the town while wearing yukata. To complete the look, slip on a pair of geta (Japanese wooden sandals) also provided by your ryokan. If you find geta difficult, you can also walk in flatter sandals or your shoes. 19:00pm – Culinary Experience – Kaiseki Dinner in our ryokan’s private dining room. pm – Following our Kaiseki dinner, upon returning to your room you will find your futon, Japanese style bedding, laid out and prepared for you. If you’re not quite ready for bed, enjoy a drink at the ryokan’s bar or head into the ryokan’s private Karaoke room for a few songs and a few laughs. 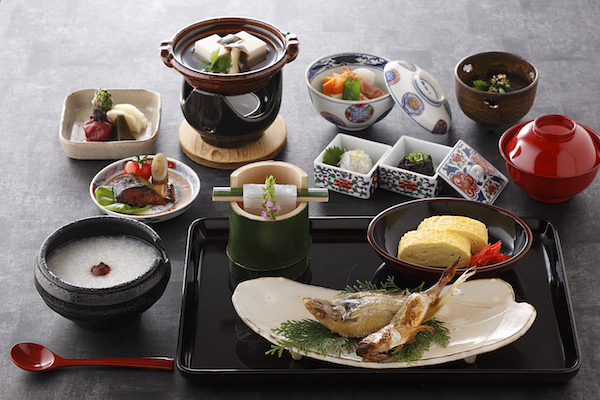 am – Enjoy a leisurely traditional ryokan Japanese breakfast (below) or western option. The remainder of the day is at your leisure to explore & relax in the quaint village of Kinosaki. 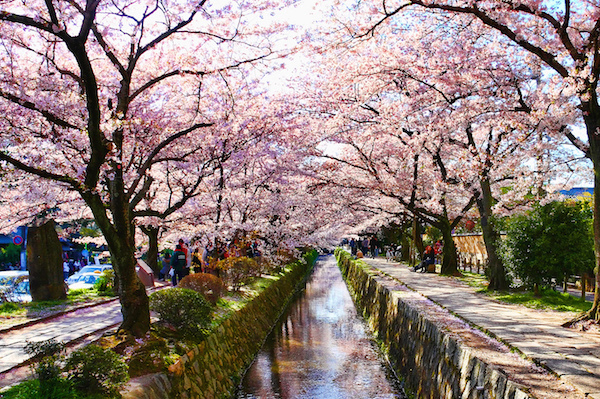 Join the locals, dressed in your yukataa, and enjoy a walk along the willow and cherry-tree lined canal that runs through the town centre. Stop into one of the seven public onsen for a relaxing soak, or take a seat and soak your feet in one of the streetside hot spring footpaths. 19:00pm – Culinary Experience – “Tajima Beef” Kaiseki Dinner – Tonight our ryokan kaiseki dinner will feature this region’s famous Tajima Beef, the stock cattle of Japan’s famous Kobe beef. 9:00am – Check out from our hotel for departure by local train to Kyoto, 2 hours south, and one of Japan’s most culturally celebrated cities. 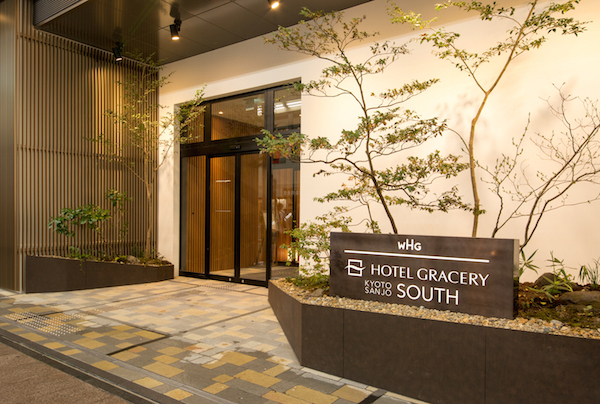 Hotel Gracery Kyoto Sanjo is located a 7-minute walk from Sanjo Train Station. Kyoto’s famous Nishiki Market is right on its doorstep; Shijo Dori, the popular shopping street, is a 8-minute walk away; while the beautiful and historic Gion area can be reached with a 16-minute walk. We have selected Twin Room accommodation at 23m2, for a little more space than the standard Japanese sized Double Rooms at this property which are only 18m2. 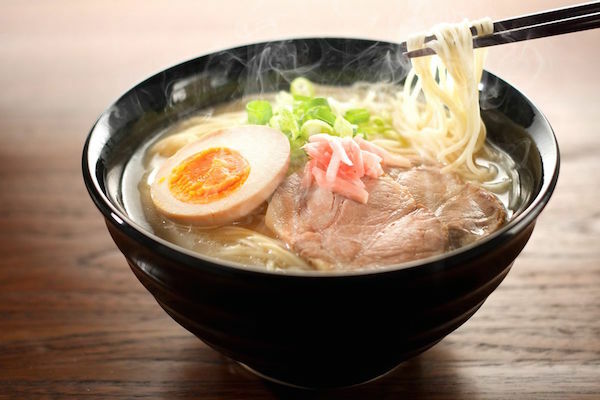 14:00pm – Culinary Experience – Japanese Ramen – After dropping our bags off at our Kyoto hotel, we will have a late lunch of Japan’s famous Ramen noodle soup at a nearby Ramen shop. 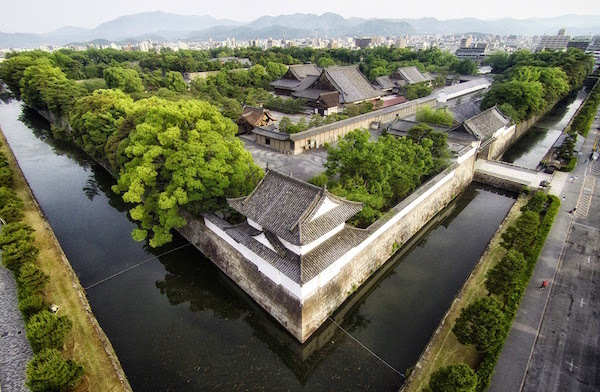 15:00pm – After lunch we will start our exploration of some of Kyoto’s famous attractions with a visit to the fascinating Shogun castle in central Kyoto. Nijo-jo Castle is one of Kyoto’s most popular and impressive sights. It shows the power that the Shoguns wielded over the emperors throughout the Edo Period. 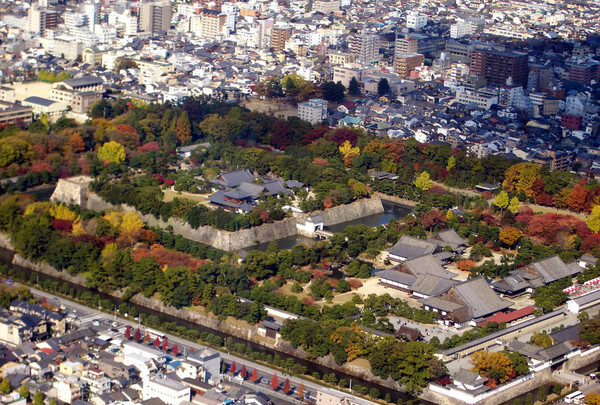 Nijo Castle – Nijo-jo Castle is one of Kyoto’s most popular and impressive sights. It shows the power that the Shoguns wielded over the emperors throughout the Edo Period. pm – Dinner and evening at your leisure. 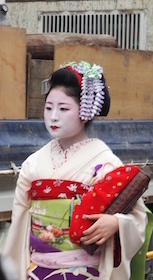 For those that are interested, we can visit Kyoto’s famous Gion District in the evening where, with a bit of luck, we may spot a maiko (apprentice geisha) or geisha scurrying between teahouse appointments. 7:00am – Early morning breakfast so that we can get the early train to West Kyoto to beat the crowds and spend some time in the stunningly beautiful and magical atmosphere of the UNESCO World Heritage Listed Arashiyama Bamboo Grove. 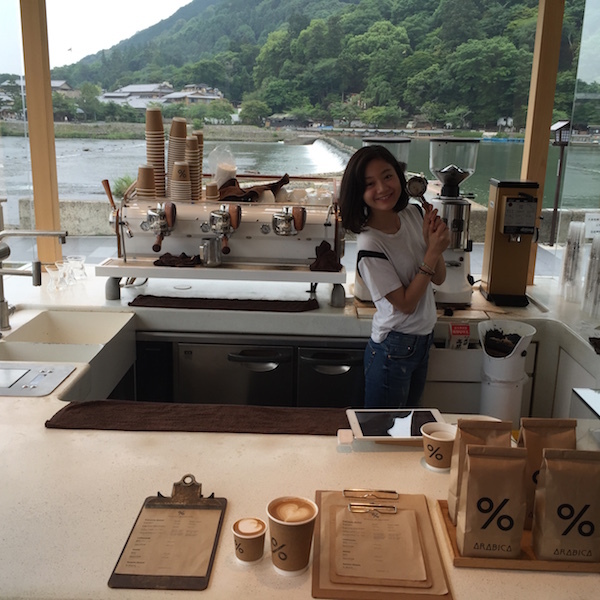 We will arrive into Arashiyama and have an amazing coffee at a hip “glass-cubed” take-away coffee shop on the banks of the river, as we walk to the Bamboo Grove. 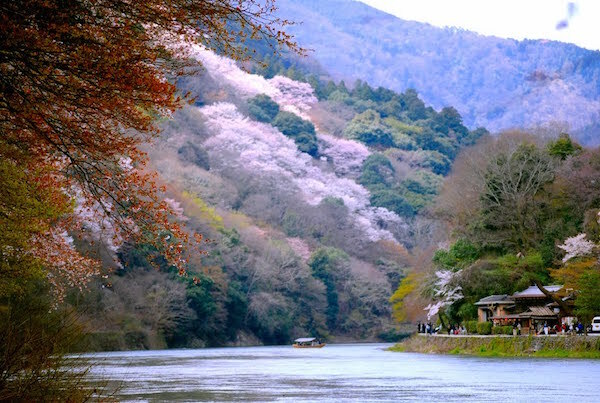 Arashiyama – Set along the flowing Hozu River, Arashiyama is a welcome natural retreat from nearby bustling Kyoto. 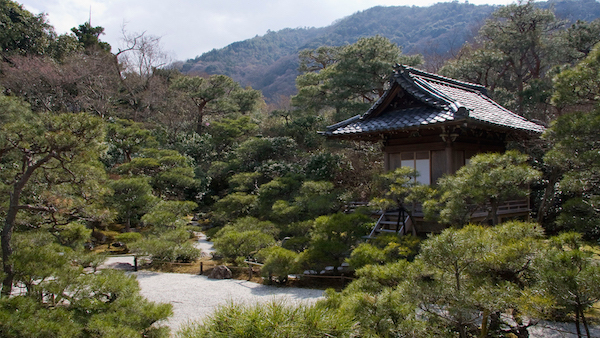 Dating back to 794, when Kyoto, then called Heian-kyo, became home to the imperial court. Arashiyama flourished as a summer and holiday retreat for court nobles attracted to its scenic charms. 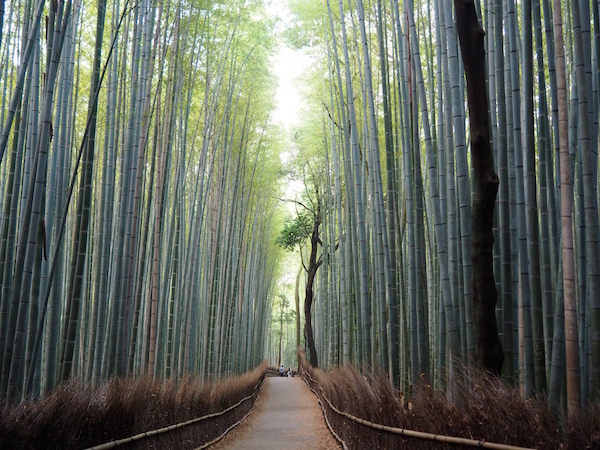 Arashiyama’s Bamboo Forest – Only 30 minutes or so from the bustling Kyoto city center, the towering bamboo forest is an almost shocking contrast to the urbanity surrounding it. Wooden paths weave through the dense thicket of tall bamboo stalks that reach dozens of feet into the sky, creating a canopy. The absolutely gorgeous forest of skinny bamboo trunks is the heroin chic of wooded glades. As the wind passes through the tightly packed plants, the wood bends and creaks, the leaves rustle, and the trunks knock together, creating a peaceful sound like almost nothing else. Tenryu-ji Temple is the largest and most impressive temple in Arashiyama and is ranked first among Kyoto’s five great Zen temples. Founded in 1339 at the beginning of the Muromachi Period (1338-1573), the temple is one of Kyoto’s many UNESCO World Heritage Sites. In addition to its temple buildings, there are attractive gardens with walking paths. With origins dating back to 1339AD, it, and is now registered as a UNESCO World Heritage site. 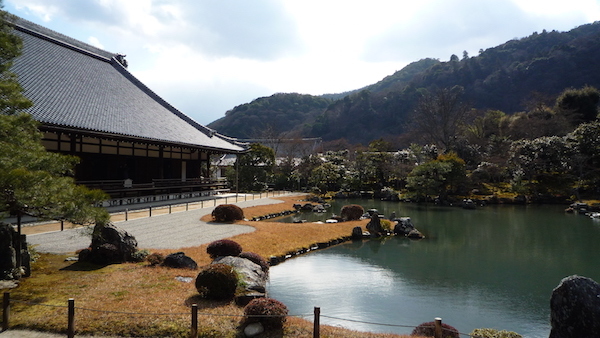 Gio-ji Temple is one of the most scenic spots in Arashiyama. The thatched-roof main hall overlooking a moss-covered grotto is a magical sight. Okochi Sanso Villa– is the two-hectare former estate of Denjiro Okochi (1898-1962), Japan’s most famous silent film star. It’s “spiral-garden” and the views from Mt. 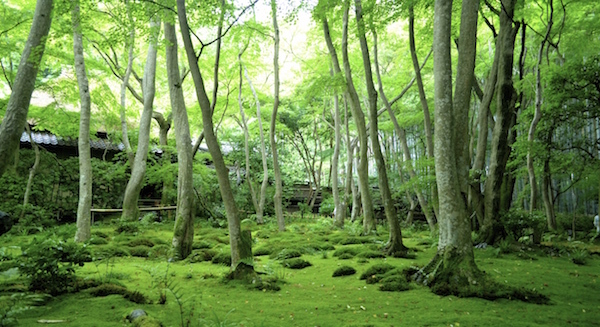 Ogura, where Okochi Sanso lies, have been celebrated in classical poetry since Heian times. 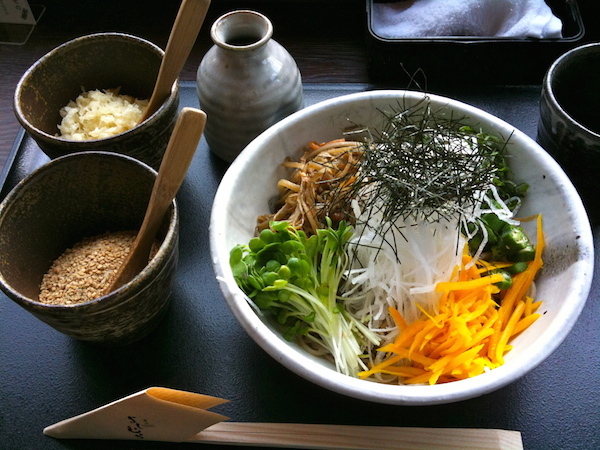 12noon – Culinary Experience – Japanese Soba (Buckwheat) Noodles – Lunch of Japan’s famous Soba (Buckwheat) Noodles at a nearby riverside restaurant in Arashiyama. Philosopher’s Path and it’s cherry tree canopy. 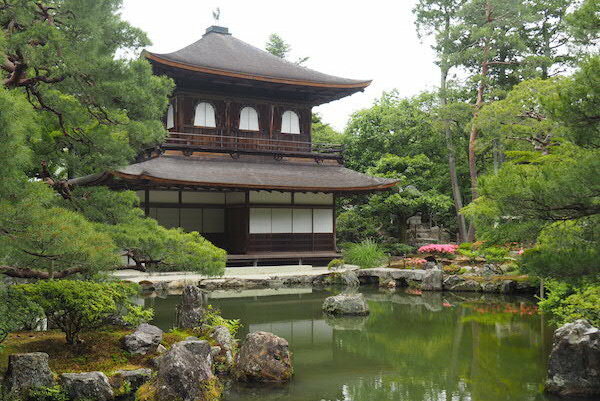 Ginkaku-ji Temple – Kyoto’s “Silver Pavilion” with its magnificient halls and gardens. 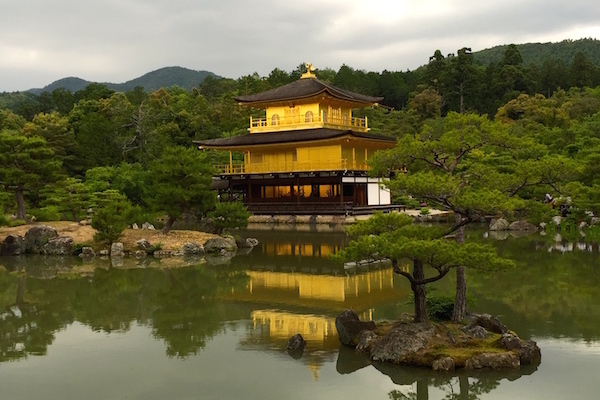 Kinkaku-ji, the famed “Golden Pavilion,” is Kyoto’s most iconic sight, rising above its reflecting pond like an apparition. 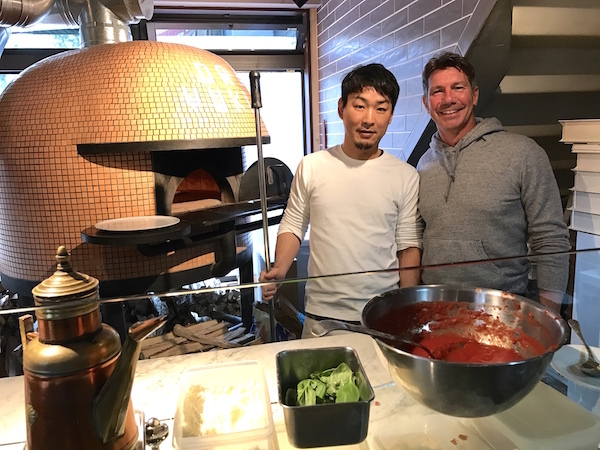 19:00pm – Culinary Experience – Kyoto’s Best Woodfired Pizza – Tonight we will have a little break from Japanese fare as we have found a great little restaurant that would challenge the Italians at making the best pizza. 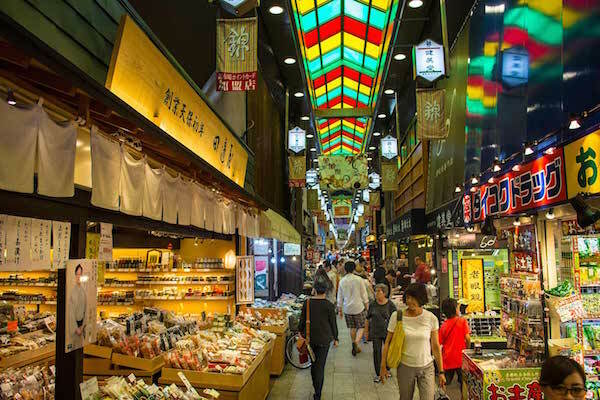 10:00am – Cuisine & Culture Experience – Nishiki Market Food Tour – This morning we will head to the nearby Nishiki Market, for a guided exploration of one of Japan’s most famous markets. Nishiki Food Market is one of the best places to view the elements of Kyo-ryori (Kyoto cuisine). The 400-year-old Nishiki Market is a long and narrow shopping arcade packed full of vendors selling a beautiful array of Kyoto’s distinctive culinary delicacies. We’ll explore the market and learn about traditional Japanese food, or washoku, which has recently been placed on UNESCO’s Intangible Cultural Heritage list. As we explore washoku in Kyoto we’ll challenge our taste buds and learn its ins and outs by taking in the sights and smells of this alleyway market, moving beyond typical Japanese fare to better understand this varied, nuanced cuisine. 13:00pm – Remainder of the afternoon at your leisure. Continue to explore Kyoto’s central shopping area around Nishiki Market; or have a little rest back at the hotel. 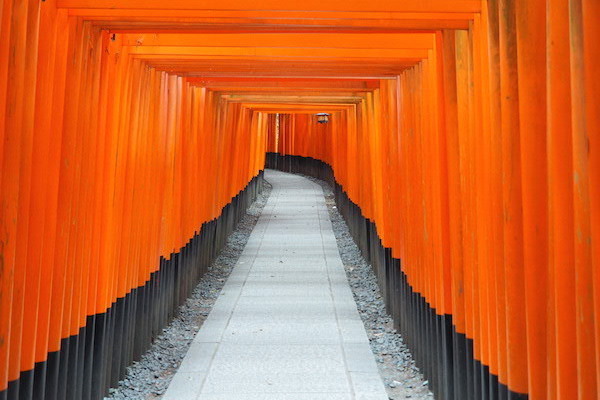 17:00pm – Culture Experience – Fushimi Inari Shrine – Late afternoon visit to one of Japan’s most popular and photographed iconic shrines- Fushimi Inari. Famous for its thousands of vermilion torii gates, Fushimi Inari was dedicated to the god of rice and sake in the 8th century, it is perhaps the single most impressive sight in all of Kyoto and its most important shrine. The magical, seemingly unending path of over 5000 vibrant vermillion torii gates that wind through the hills behind Fushimi Inari-taisha Shrine makes it one of the most popular shrines in Japan. Due to its popularity with thousands of tourists during the day, our late afternoon visit will allow us to enjoy this picturesque setting and scenic walk without the crowds. 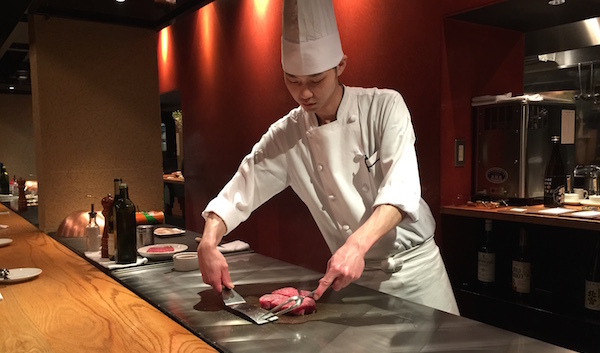 19:30pm – Cuisine Experience – Teppanyaki Dinner – Tonight we will enjoy some of Japan’s famous Kobe beef, cooked teppanyaki-style at a restaurant in Kyoto’s Gion District. 10:00am – Check out from our hotel for departure by local train and Japan’s famous Shinkansen Bullet train to Tokyo, for the 2 1/2 hour train journey with speeds of up to 280km/h. Tokyo is a truly overwhelming city: a vibrant hub of modern civilisation, constantly buzzing with activity. 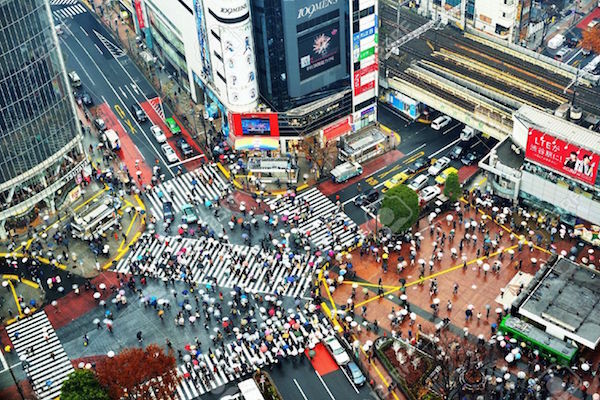 Japan’s largest city and its capital since the Meiji restoration of 1868, Tokyo is a sensory bombardment and the wonderful abundance of street-level detail means there is always something to keep the attention. 13:00pm – Upon arrival in Tokyo, we will drop our bags off at our hotel in Tokyo’s most fashionable and trendy district – Ginza – and home to some of the biggest names in fashion in the world. 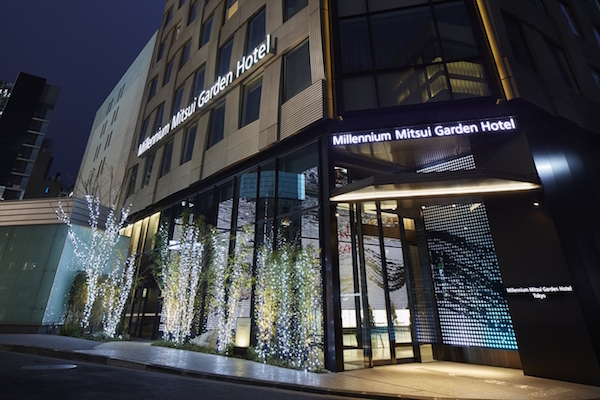 The Millenium Mitsui Garden Hotel (Ginza) is located almost at Ginza 4-chome crossing (above), the center of fashionable Ginza which presents both traditional Japanese culture and innovations in the spirit of Western culture. 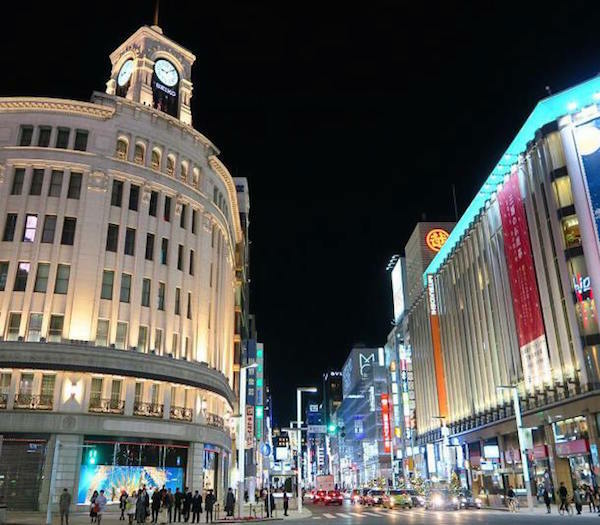 Opened in December 2014 it is located just steps away from all the glitz and glamour of Ginza’s shopping, dining and entertainment area. 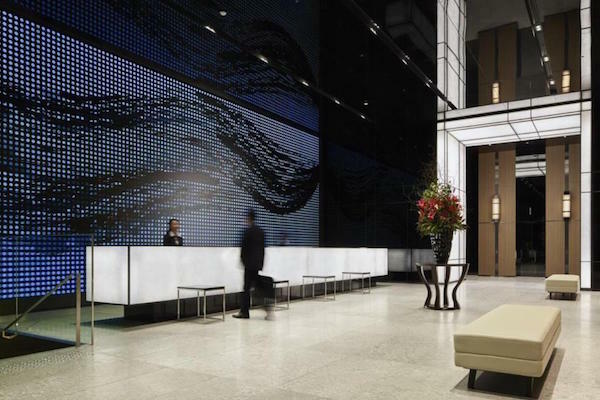 The exterior design of Millennium Mitsui Garden Hotel Tokyo presents a woven image of Ginza’s past, present and future. Masahide Ishikawa, a Japanese architect known for his work on “Ginza Kojun Building” has used a modern form to express the spirit (“iki”) of old Edo which Ginza has inherited. Kappabashi Street – also known as Kitchen Town, which is a shopping precinct lined with specialty stores selling everything from dishes, pots, pans, & cooking utensils, used by Tokyo’s restaurants, as well as the famous plastic & wax food samples used by them in their show windows. Tokyo Skytree – For a bird’s eye view of Tokyo, where we may even be rewarded with a view of Mt Fuji from the top of the Tokyo Skytree. 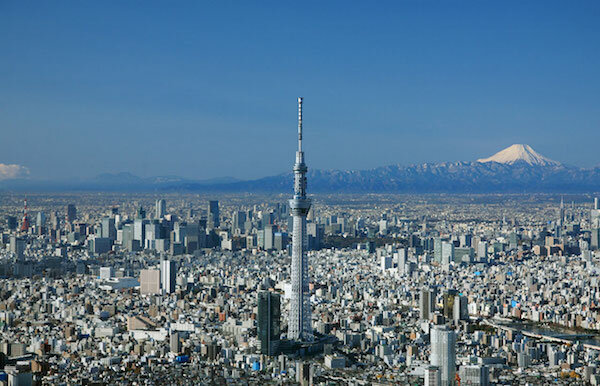 we will visit Tokyo’s newest addition to its ever-changing skyline, Tokyo Skytree was completed in 2011 with its 634 height becoming the world’s tallest free-standing tower. pm – A little time to rest back at our hotel before heading to dinner. 19:30pm – Depart the hotel to experience dinner at a typical, Japanese-style Izakaya (Japanese Gastropub) restaurant for a quintessential Japanese dining experience of great food and drink amongst local Japanese. 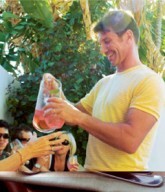 pm – Remainder of the evening at your leisure. am – Breakfast and early morning at your leisure. 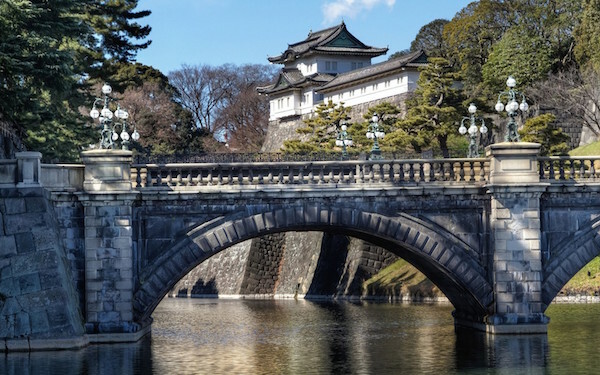 Go for an early morning walk around the grounds of the nearby Imperial Palace (below) or pop into one of the many shops on the hotel’s doorstep for a quick look or shop. 11am – 17:00pm – Cuisine & Culture Experience – Today we will explore Tokyo and its deep food scene! 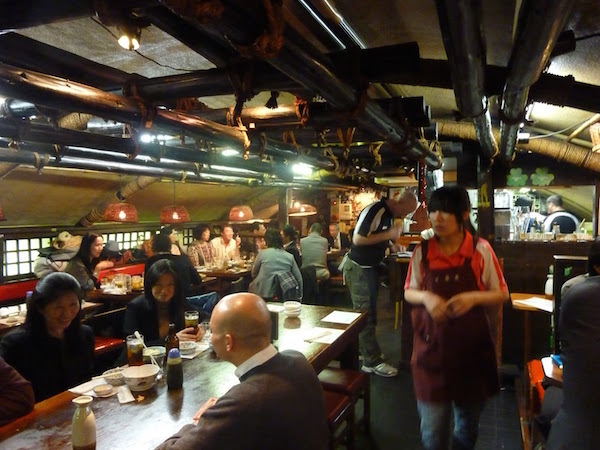 Our Private Guided Walking Tour will give us the opportunity to experience Tokyo’s culinary past, present and future! From Tokyo’s deep history of depachika (incredible department store food halls) where we will sample tastes from pickles to cakes, we will then venture to one of Tokyo’s most trendy and busiest centres – Shibuya, and its famous crossing – where we will continue to sample some of Tokyo’s amazing eats. We will then venture out to one of Tokyo’s outlying neighbourhoods to rub elbows with the locals to see how and where they shop before we finish at one of the quickly disappearing traditional yokocho, drinking alleys, to sample sake or beer at a local izakaya. pm – Evening at your leisure. We haven’t arranged dinner for this evening so it is an opportunity to either visit one of Tokyo’s many Michelin rated restaurants or , at the other end of the scale, try one of my favourite Japanese dishes – tonkatsu – at a restaurant specialising in this dish of crumbled pork (prawn or chicken options are usually also available). Michelin Restaurant (Optional Experience) – Tokyo has ranked number one in the world for the most three-star restaurants since 2009. For those of you wishing to experience why Tokyo is at the top of Michelin awards, this evening is a free evening for those wishing to dine amongst the Michelin stars. There are 13 three-star; 51 two-star; and 153 one-star restaurants to choose from, but you must book as early as possible to secure these heavily in demand restaurants. Tonkatsu – It is one of the most beloved “western style” Japanese foods in Japan. 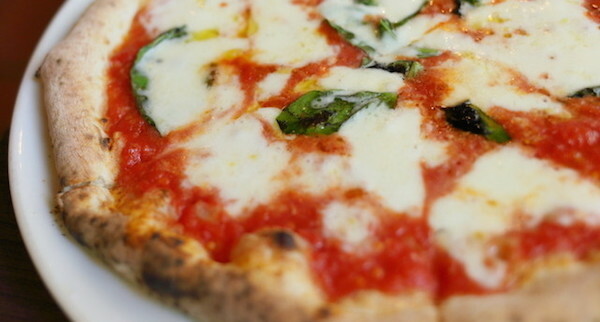 Originally considered a type of yōshoku—Japanese versions of European cuisine – the dish was invented in the late 19th. 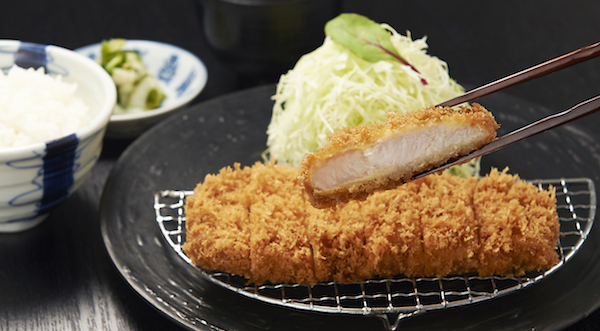 Tonkatsu is traditionally served with shredded cabbage and a thick Worcestershire-type sauce called tonkatsu sauce. am – Breakfast at your leisure. 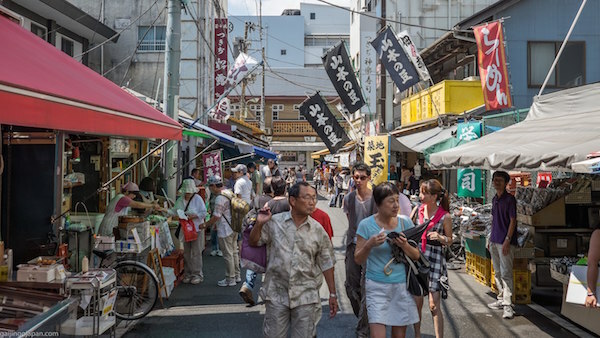 For those that are interested, we can take an early morning walk to the nearby Tsukiji Fish Market’s** “Outer Market” (below), known as Japan’s “Food Town,” where one can encounter all of Japan’s traditional foods. A mixture of wholesale and retail shops along with numerous restaurants line the streets, this is where Japan’s new culinary trends are said to be born. ** With Japan’s hosting of the 2020 Olympics, Tokyo’s Tsukiji Fish Market and famed tuna auction are in the process of relocating from it’s central Ginza location to accommodate the redevelopment of this area. Tsukiji’s Outer Market should still remain, however there might not be the possibility of visiting the new fish market’s new location. FREE DAY – You would have now mastered Japan’s incredibly efficient public transportation system, so we have left today as a free day for you to explore Tokyo as you desire. We can provide you with suggestions on whether you would like to visit some of its cultural attractions, many museums, or alternatively you might like to do some last minute shopping before the tour ends. 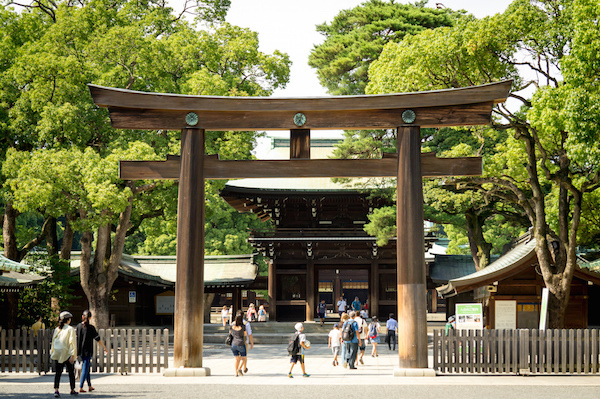 Meiji Shrine (above) – Tokyo’s most important Shinto shrine dedicated to the deified spirit of Emperor Meiji following his death in 1912. The shrine is located in a forest that consists of 120,000 trees of 365 different species, which were donated by people from all parts of Japan when the shrine was established. 19:00pm – Cuisine Experience Final Group Dinner – Kaiseki is Japanese cuisine in its most refined form. 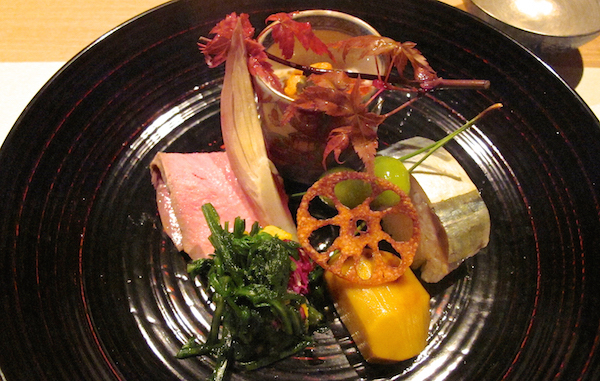 A kaiseki meal consists of course upon course of masterfully-prepared dishes featuring seasonal and local specialties. 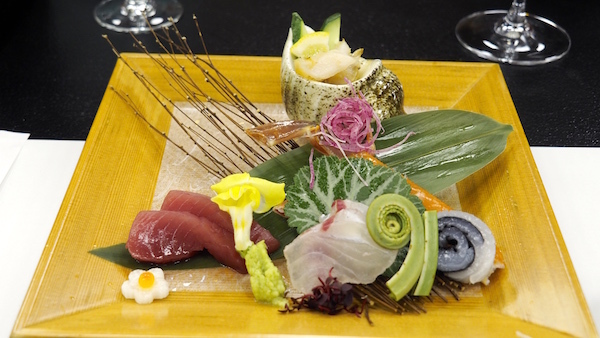 Tonight we will experience Japan’s centuries old kaiseki traditions, with a modern twist. 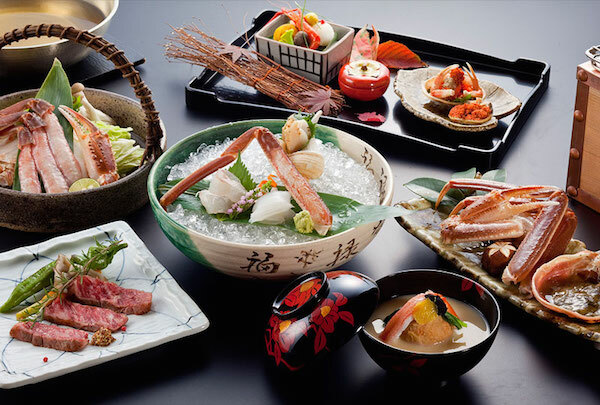 Modern kaiseki draws on a number of traditional Japanese cuisines, notably four traditions: imperial court cuisine, Buddhist cuisine of temples, samurai cuisine of warrior households and tea ceremony cuisine. am – Breakfast at your leisure before checking out the hotel. For those of you returning to Australia, the closest airport to central Tokyo is HANEDA AIRPORT about 45 minutes out of town, while NARITA AIRPORT is about 90 minutes out of town. Airport shuttles, as well as Tokyo’s public train system can get you to either of the airports. We can assist in arranging your preferred transfer to the airport of your departure. 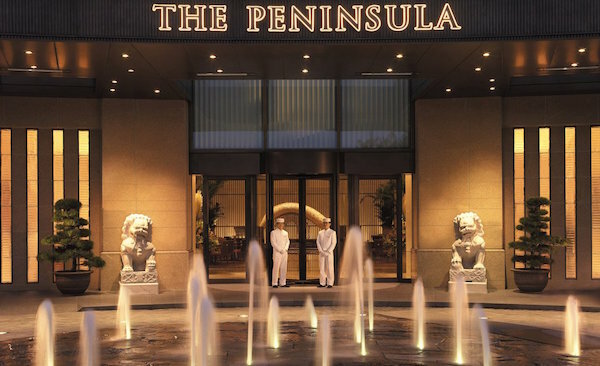 For those of you that would like to explore more of Tokyo by extending your stay, we have secured a rate at one of Japan’s premiere luxury hotels – Peninsula Tokyo – located across the road from the Imperial Palace and nearby to Ginza. Belinda & Nico will be staying on for 2 additional nights at the Peninsula Tokyo. Alternatively, if you were wanting to stay on in Tokyo but prefer to find alternative accommodation, we can still arrange to spend some time while we are there. As well as being one of Japan’s premiere luxury hotels, there are two reasons that we have selected to stay at The Peninsula Tokyo. One is it’s outstanding location in the prestigious business district of Marunouchi, opposite Tokyo’s Imperial Palace and Hibiya Park and on the doorstep of the famous Ginza district, Tokyo’s most fashionable and trendy neighbourhood. And secondly is that The Peninsula Tokyo’s newly appointed General Manager – Ms Sonya Vodusek, is a close family friend of ours who grew up with Belinda’s family in Yarrawonga, Victoria. Ms Vodusek is the first female to be appointed as General Manager of a Tokyo luxury hotel, and we look forward to being welcomed by Ms Vodusek’s incredible team and its legendary Peninsula service. 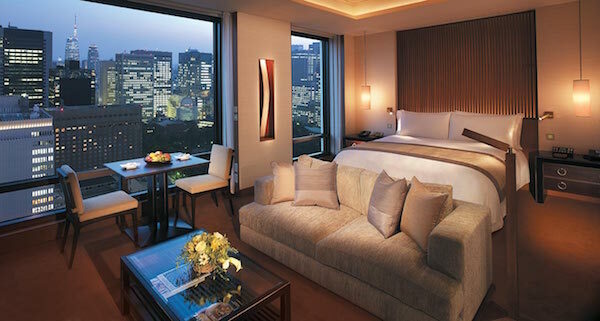 Your Deluxe Peninsula Room – The Peninsula guestrooms are among the largest (54 sqm) and most technologically advanced in Tokyo with unparalleled views of the city, the Imperial Palace Gardens or Hibiya Park. Styled with soft greys and earth tones it boasts a large dedicated seating area with a dining table, subtle recessed ceiling lights and contemporary floor and table lamps. Complimentary high speed internet access and a host of high-tech amenities make this room the perfect environment for work or leisure. Renowned interior designer, Yukio Hashimoto, intertwines rich earth tone colours, woods, lacquer, marble and stone with design and functionality to create a luxurious living environment described as ‘international in design, but Japanese by inspiration. Your room is the epitome of modern luxury infused with traditional Japanese culture and aesthetics. 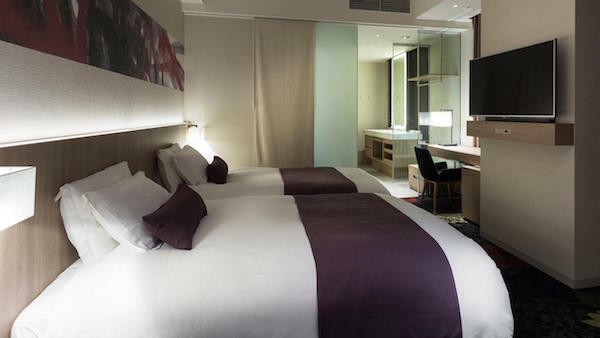 The generously apportioned rooms exude a contemporary elegance that are in perfect harmony with the environment. A large seating area allows guests to enjoy the wide flat-screen plasma TV in cocooned comfort and the king-size bed is swathed in luxurious linens and subtly patterned silks. The room features a luxurious bathroom adorned in marble and natural stone and is equipped with a separate shower and deep bathtub. 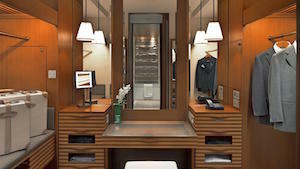 The room also features a spacious self-contained dressing room with a unique vanity fabricated of linear bands of gold and blonde local wood. **Note: Price is subject to change without notice as a result of international currency fluctuations that may affect the cost of land transportation, hotels, or other related services. You will be notified as soon as any changes are affected. To secure your places, please contact Nico Moretti at nico@urbanprovider.com.au or 08 9228 0507, and we will forward you a Cooking Passions Booking Form. Booking Deposit: A $AUD895.00 per person BOOKING DEPOSIT is required to hold a booking for the tour, at the time of your reservation. 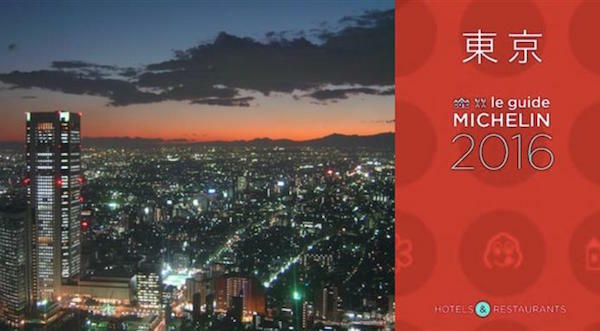 We look forward to hosting you on this very special “Discover Japan” experience! If you have any questions, please don’t hesitate in contacting us.